With Basil bike accessories, you’ll always be seen, day or night! As the temperature drops, motivation to get on the saddle and cycle can also decrease. However, there’s no need to fall out of the habit this winter if you protect yourself and your bike against the cold temperatures, rainy days and dark nights. We’ve put together three essential tips to help you brave the chill, take by the night and beat the rain this winter. Cycling in the winter months also means cycling in cold weather. However, the simple exercise of cycling is a great way to boost your body temperature and keep you warm during the drearier days. However, your choice of cycling attire is also important. You’ll want to ensure you’re wearing adequate protection against the cold, while also paying attention to layering. 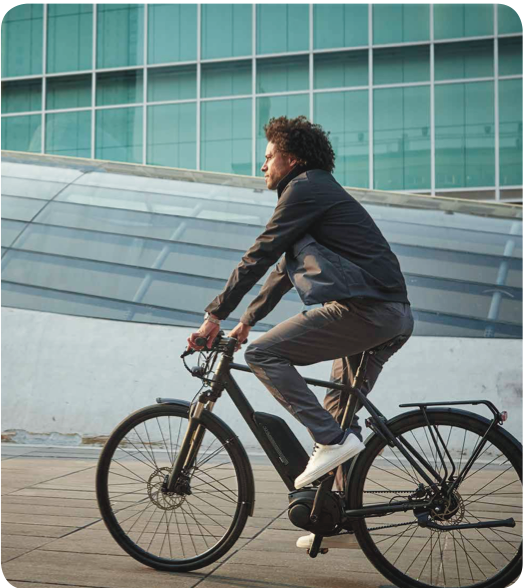 The same thinking applies to your E-bike battery. If it gets colder than 15 degrees Celsius, it’s advised you take steps to protect your battery against the drop in temperature. Battery sleeves are an ideal way to keep your battery protected against the damage temperature plunges can cause. These sleeves also protect against scratches, shocks and other damages. To safeguard your E-bike battery performance and ensure it lasts for as long as possible, keep it protected with Basil battery covers. An essential accessory when cycling or transporting your E-bike by other means. Maintaining good levels of visibility is crucial when cycling in the winter months when the days are shorter. As a cyclist, you’re more vulnerable to in traffic during the long nights and can’t always ensure motorists are remaining as vigilant as you are. Good lighting contributes to a safer bicycle ride and here at Basil, we’ve taken note. That’s why you’ll find many of our baskets and bags with their own Nordlicht Technology* LED strip. This provides additional lighting accents to complement your existing lighting to ensure you stand out as clearly as possible when out and about on your bike. 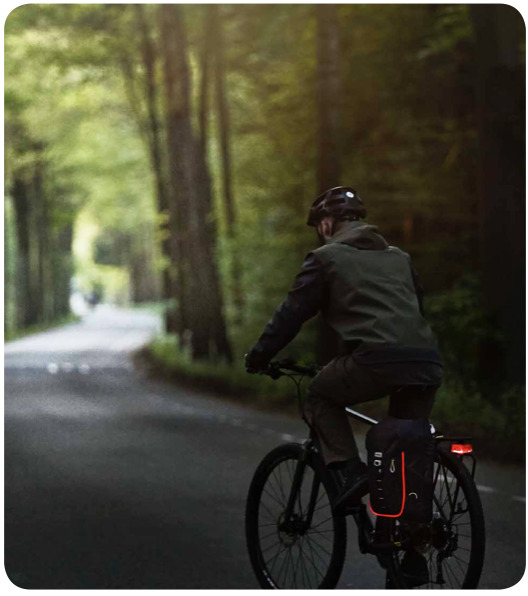 B-Safe Backpack Nordlicht – bicycle backpack with anti-theft design and LED strip. Miles Daypack Nordlicht – waterproof backpack and pannier in one. Bremen Alu Front Basket – mesh steel front basket with LED strip. Cento Alu Rear Basket – mesh steel rear basket with red LED strip. The chance of a chilly rain shower or snow flurry soars as we head deeper into winter. However, that’s no reason to think about leaving your bike at home! It’s easy to keep your gear dry as you cycle with Basil’s range of accessories, with several innovative ranges to provide essential storage and 100% waterproof protection. What’s more, they’re an incredibly stylish selection! Magnolia Panniers – who doesn’t love a flourish of florals?